Healing from major surgery, including plastic surgery, can often be a challenge. 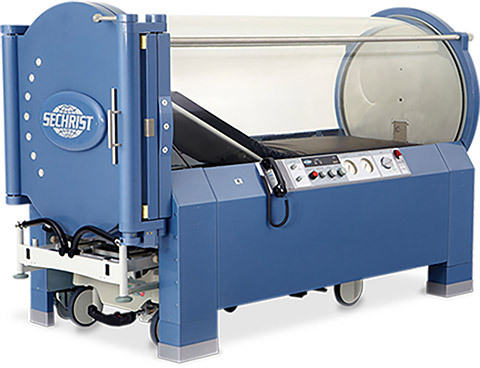 Hyperbaric oxygen therapy is a specialized treatment intended to speed the healing process. Hyperbaric oxygen therapy, or HBO, is an innovative treatment that allows rapid healing far beyond what would happen naturally. Wounds require oxygen to heal and thus will heal more quickly in a pressurized 100% oxygen. This therapy involves exposing wounds and areas of damage to this higher-pressure pure oxygen. An increasing number of physicians are turning to hyperbaric oxygen therapy to enhance recovery and allow more rapid and complete healing. Several major studies support this practice. New York plastic surgeon Dr. Andrew Jacono, always at the forefront of new practices in cosmetic surgery and patient care, has been involved in several major studies looking at how this practice can improve cosmetic surgery. Can this therapy be used in cosmetic surgery as well? The evidence supports this conclusion. In a study entitled “Effect of Perioperative Hyperbaric Oxygen on Bruising in Face-lifts,” released in 2010 in the Archives of Facial Plastic Surgery. Dr. Jacono and colleagues found that hyperbaric oxygen therapy decreases bruising by 35% at one week after facelift surgeries. Our bodies need oxygen not just to heal, but to survive. However, certain injuries, including surgery, can reduce blood flow to the area and thus make healing a challenge. In addition, inflammation can reduce oxygen exchange. Hyperbaric oxygen therapy increases oxygen to tissues that have undergone surgery or an injury. It also stimulates the growth of new blood vessels, to enable long-term health. “Hyperbaric Oxygen Therapy works to increase oxygen to facial tissue and stimulate the growth of new blood vessels, which in turn, contributes to a faster recovery,” explains Dr. Jacono. “My patients are all very busy and are eager to return to their public lives as quickly as possible,” he says. With facelift procedures the most popular surgical procedure for women and increasing every year, a growing number of patients can benefit from this therapy. This is not the only innovation that can be found in Dr. Jacono’s practice. At the forefront of his field in using evidence-based natural therapies to improve results and enhance healing, Dr. Jacono often incorporates holistic therapies into his practice. These not only give a better and more luxurious patient experience, but also allow high profile patients to return to the public eye more quickly. In addition, this therapy can cause increased heart problems in people with severe heart disease such as congestive heart failure. These side effects are rare. However, it is always important to choose an experienced practitioner and to be honest about your entire medical history before undergoing any treatment. What to Expect from Hyperbaric Oxygen Therapy? Treatments are short and can be easily fit into a workday. The exact number that you need will depend on the type of surgery you had and how your wounds are healing. Most people only experience a small amount of lightheadedness or fatigue immediately after their therapy. This dissipates in just minutes. Hyperbaric oxygen therapy is an exciting and low-risk way to increase healing so you can get back to your life as quickly as possible and enjoy your newly youthful appearance. To find out more about whether this treatment is right for you, call Dr. Jacono’s office for a consultation. He can be reached in his New York City location at 212-570-2500 or in Long Island at 516-773-4646.